The EASY! Force trigger gun is available across all hot and cold professional pressure washers from Kärcher. In-depth research was carried out in real-life working environments into the pressure and strain put on muscles and joints from repetitive and prolonged use of a pressure washer. Following this, Kärcher made substantial improvements to the trigger gun, changing how the trigger is activated. Now located at the rear of the gun, it is the recoil of the water jet that automatically presses the trigger into the palm, making it easy to use. The reduced force action prevents hand and finger strain and in turn muscle cramps, allowing for longer operating periods. 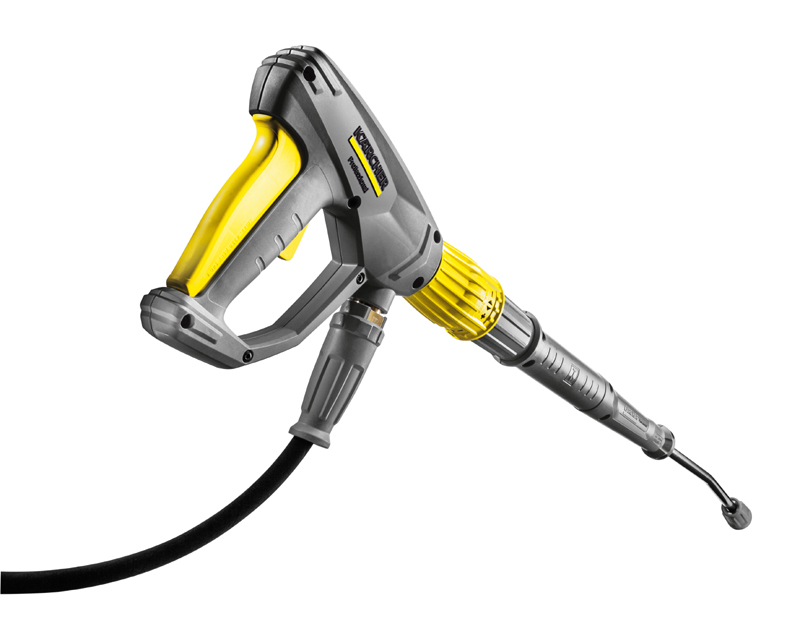 The company has also included a redesign of the lance and high-pressure hose, which features a new trapezoidal thread. This lock combines the speed of a quick release coupling with the safety of a threaded connection with only a single turn, saving you time and improving productivity. The screw-thread also allows for a tight and reliable connection with a single turn, providing greater flexibility when cleaning. The valve within the trigger gun has also undergone significant improvement, with the ball and valve seat now manufactured in a high-grade ceramic which will ensure a long lasting and reliable seal. This improvement ensures a longer product lifetime, up to 5 times longer than trigger guns with the conventional valve.